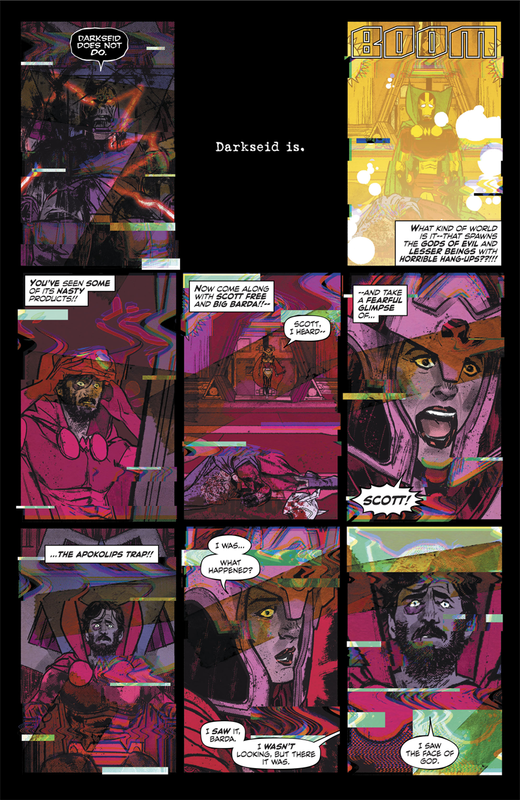 The last issue of Mister Miracle - by Tom King, Mitch Gerads, and Clayton Cowles - saw two pretty huge things happen on New Genesis, Scott's homeworld. First of all, Barda revealed that she was pregnant. Then, Scott found himself in the unenviable position of witnessing Darkseid murder his own son, Orion, on the seat of Highfather, bringing a strange stalemate to the conflict between New Genesis and Apokolips once more. Like I said, this is a book about contrast, be it beauty and horror, or dramas personal and world-sweeping. 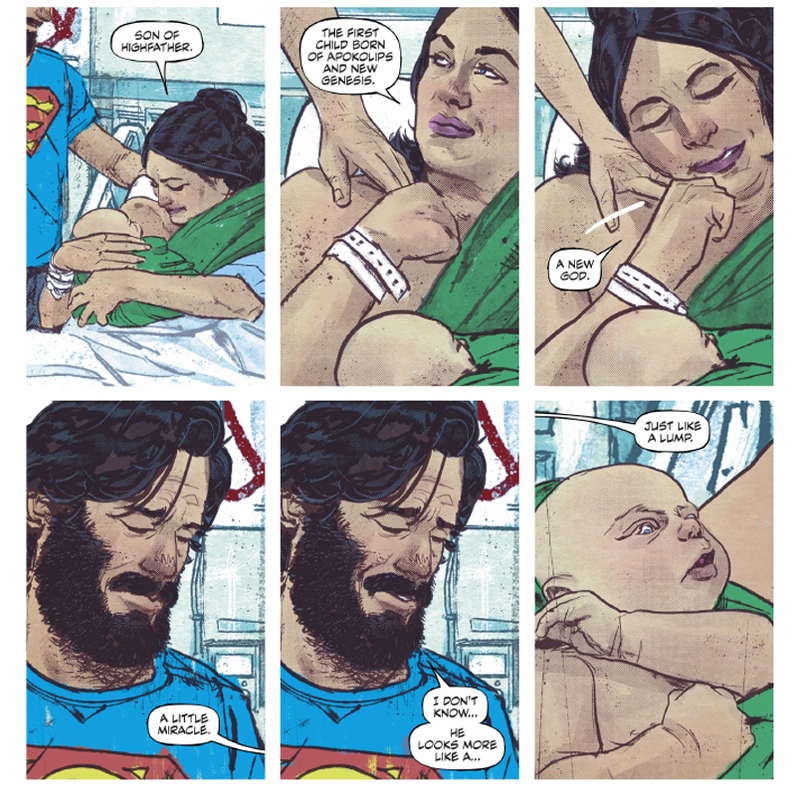 Mister Miracle #7, finally out this week, follows up on one of those threads - Barda's impending pregnancy - as a stark contrast to the bloody, grand, and downright weird theological goings-on on New Genesis. It gives us the other side of Mister Miracle's coin, where the focus is on the Earth-bound drama of Scott and Barda's life rather than the Game of Thrones-ian intrigues of the Fourth World. It's an issue that is, at times, delightfully funny. 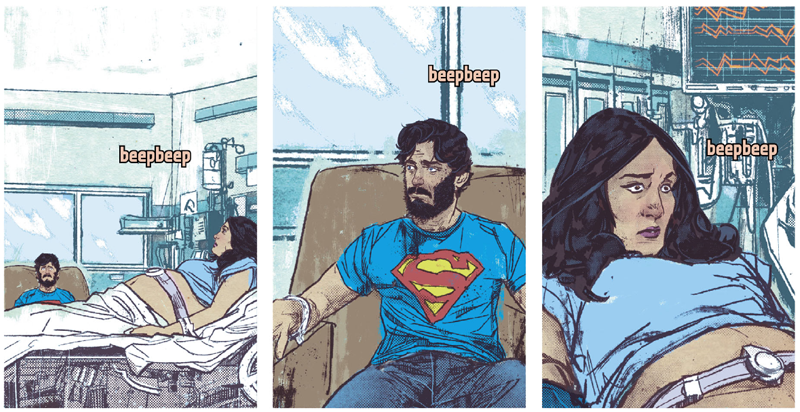 The blasé attitude with which Scott checks Barda into the hospital to deliver their child as "First name Big, last name Barda" is just one of many examples of how King and Gerads play up the duality of Scott and Barda's existences. A brief appearance by Barda's ex-colleagues in the Female Furies - these bright, bold and weird Jack Kirby designs against the sterile backdrop of a hospital corridor - is another. It's also a surprisingly tense one - King's trademark use of repeated words and structures to ratchet up the tension in his books is on full display, this time as the onomatopoeic "beepbeep" sound of Barda's baby heartbeat monitor. Its constant existence across page after page of the issue as Scott and Barda go through the seemingly endless waiting before labour begins is there as a ceaseless reminder that when it is not there, something is horribly wrong. Which happens at one point, only for it to be a misfire that requires repositioning Barda. 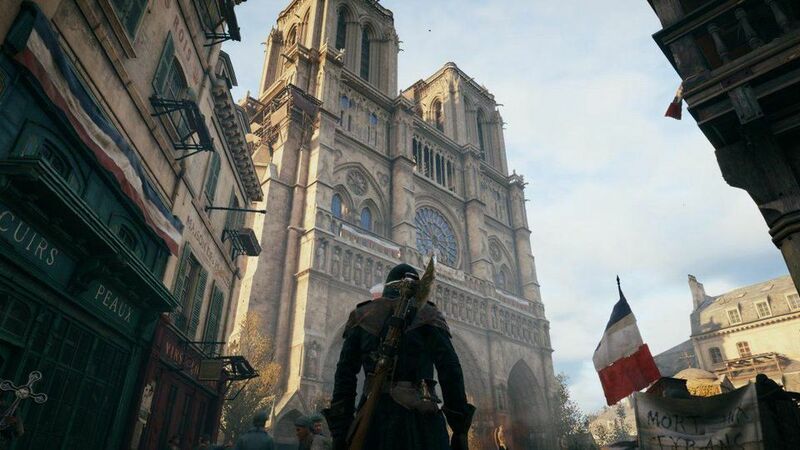 That's the closest the issue gets to, outside of the birth itself, a really dramatic moment. 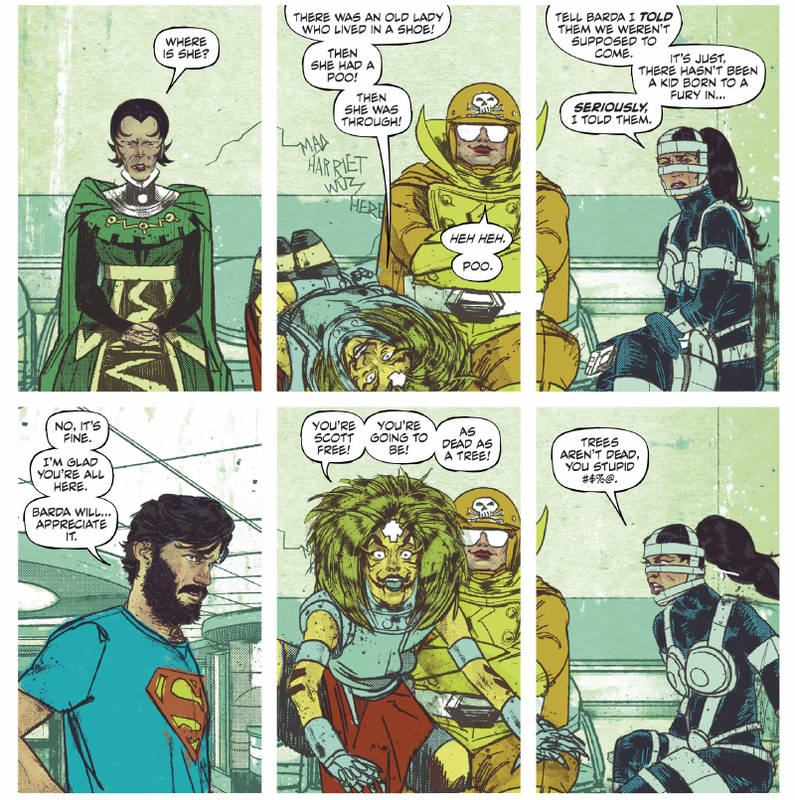 Which is kind of the point of it all: after multiple issues of twists, betrayals, bloody violence, and the cosmic insanity of life on New Genesis, Mister Miracle #7 draws it all back to what matters the most: Scott and Barda, back on Earth, living their life. There, the drama is in trying to find a parking spot before your wife gives birth, rather than who sits atop a bloodied throne to rule over literal gods. That's not to say that nothing of import to New Genesis happens in Mister Miracle #7. In fact, one of the most important things that could happen to the Fourth World happens in this otherwise quiet, human series of events: Barda gives birth, and after a brief intervention from Scott (and an Apokoliptan knife), the baby is ok. The first child ever born from parents both from Apokolips and New Genesis. It's the future of the Fourth World, in Scott and Barda's hands — delivered to them not through the otherworldly machinations of their fellow gods, but through their love, through this weird, tiny little beauty of a life on Earth. The small and human, contrasted with the huge and theological. That's what Mister Miracle is about, and it's beautiful. For a second I thought the sound effect in the thumbnail was, "brrrrrrrrt" followed by an awkward moment between them.